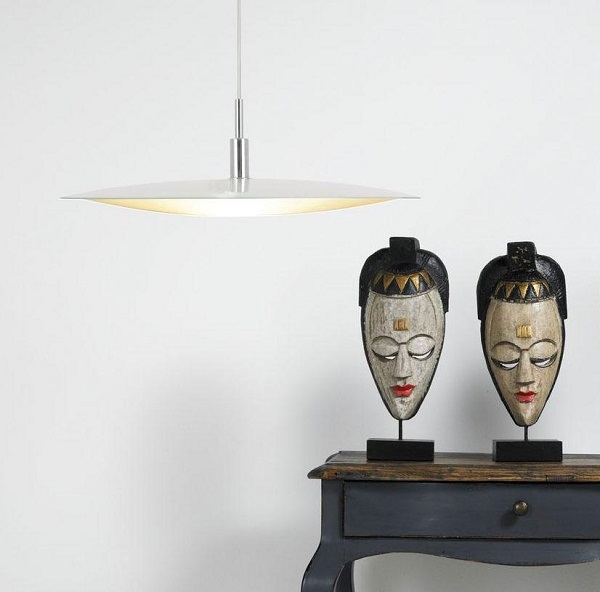 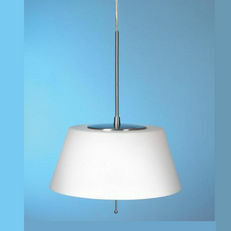 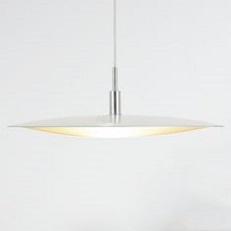 The Discos 51 hanging light By Nordlux of Denmark is flat as pendant comes! 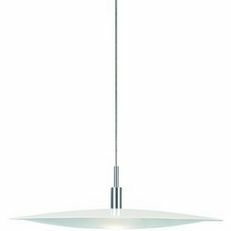 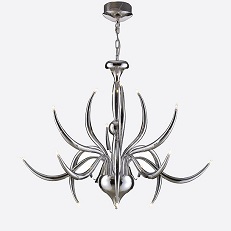 Slim and weightless in appearance, the Discos is a good option when ceiling height is limited. 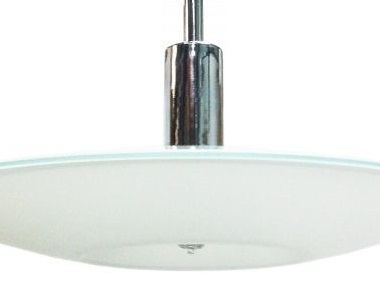 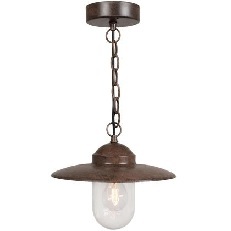 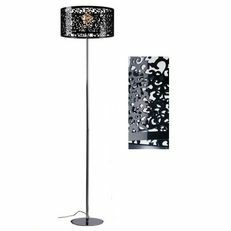 Gently curved glass encloses the lamp, with chrome detail and white fabric cord.